The race towards a fully green future is heating up. As declining prices drive up the adoption of renewable energy, which countries are investing the most? In Part 1 of our Battery Series, we look at battery basics, as well as the evolution of battery technology and how we got to today. The commodity sector has struggled, but there is one area bucking the trend: energy metals. 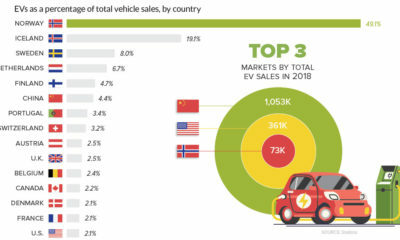 See the momentum in clean energy and the lithium revolution. New installations of community solar farms are taking off, with cumulative capacity in the United States to increase sevenfold over the next two years.